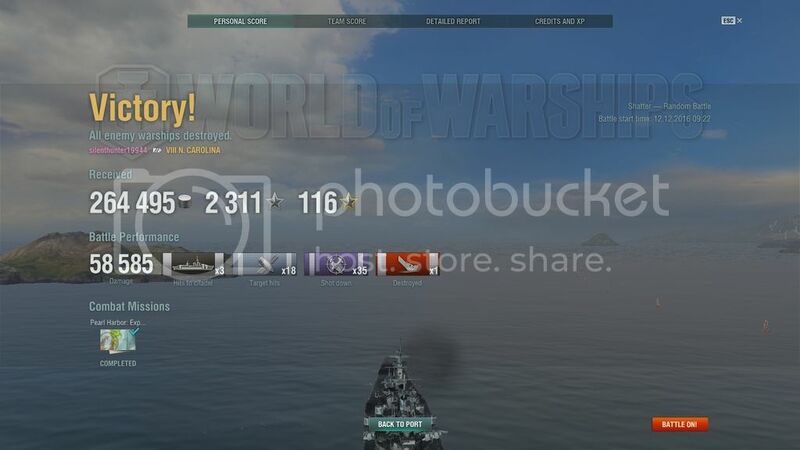 Just got AFT this morning and got thrown into a tier 10 match with 2 Midways. The result is the Midway got pissed and tried to attack me 2 more times before giving up . AA spec NC can troll the Midway now, doesn't the Midway also have the tankiest planes as well ? this ship give me PTSD back in CBT. 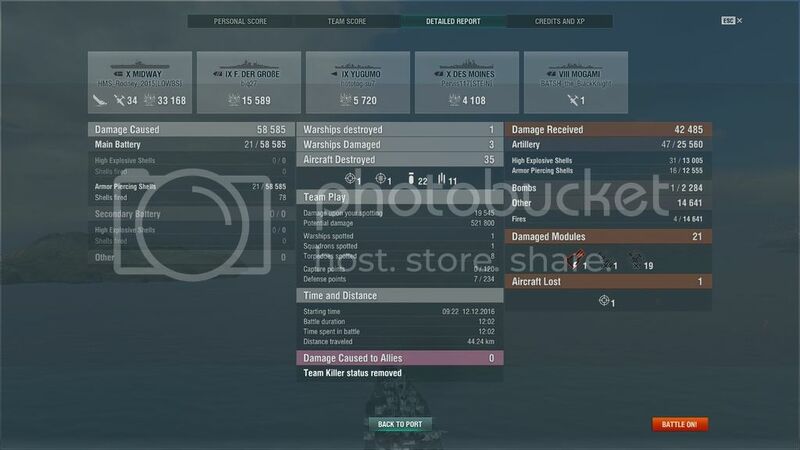 i'm on tier VIII lexinton with another IX USN CV and we try to reset the our base cap that is being capped by North calorina. we lost most of our plane before we can even touch her. her AA is way more scary than yamato or Iowa. The midway player was scrub no doubt. If you go for NC, you have to go straight, doing it in minimum possible time, preferably approach from bow or stern, not from the sides, you will lose almost all on the way back, you just have to make sure you dont spend a millisecond more than necessary over the ship. In that case you can still drop a good number of those huge bombs. AA-spec NC will shoot down some Midway planes but usually no more than 5-6 in an approach; a stack will deal a good 45k from a 212 and prolly 50k if its a 113 stack.